Follow these links to learn more and start setting up your Associates Accounts. 4-8% depending on the product type. 24 hours. In addition if the user places an item in the shopping cart, commissions can still be earned if the purchase is completed within 89 days. Check, Amazon Gift Card, Direct Deposit. Fees are paid out on a monthly basis, approximately 60 days after the end of each month. For the Mexico, Japan, China, Brazil, and India Associates Programs, you must have a bank account located within each country. While Turkey, the Netherlands, and Singapore have their own unique Amazon Storefronts, they aren't a part of the Amazon Associates Program yet. To learn more about the Amazon Associates Program, Get Started Here. Amazon has 13 affiliate supported storefronts across the world in, Americas (United States, Canada, Brazil, Mexico), Europe (France, Germany, Italy, Spain, United Kingdom), Asia (China, Japan, India), and most recently Australia. In addition, Amazon has a storefront in The Netherlands which it has not released affiliate support for yet. Each of the other storefronts, however, has its own affiliate program, and is fully supported by Geniuslink. Sign up for every affiliate program where you see traffic from, connect your Geniuslink account, and start earning international commissions. 1. 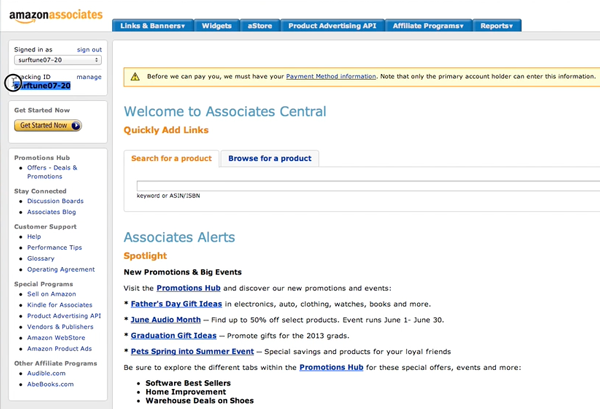 The first step in setting up your Amazon Associates account is to go to the Amazon Associates page. 3. After you have selected the appropriate country, click on the "Join Now for Free" button. 4. 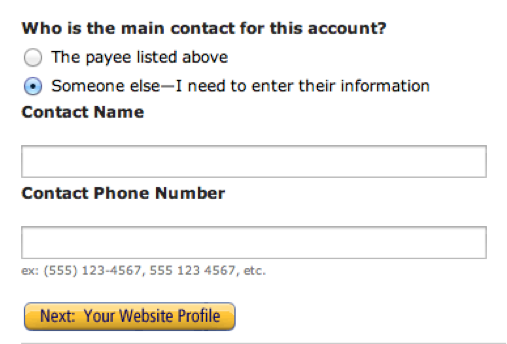 If you already have an Amazon account, simply log in with your email and password and skip to step 6 below. If you do not have an Amazon account, simply enter your email and select "I am a new customer." 5. 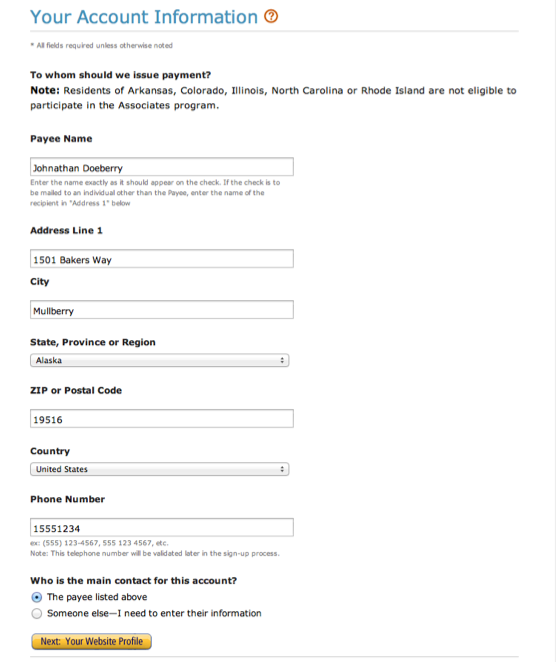 Next, complete the "Registration" form by filling in your log-in information and click "Create account." 6. Once you have logged in, fill in your account information. If you already have an Amazon account, simply select the address you wish to use. 7. If you are not the primary account holder, select the "Someone else" radio button at the bottom of the page and fill in their information. 8. Once you have finished filling out your information, click the "Next" button at the bottom. This page asks you to fill in all of the information pertaining to your website. The first step is to give the name of your website. In the next step, enter the URL for your website as well as a short description of what your website is all about. 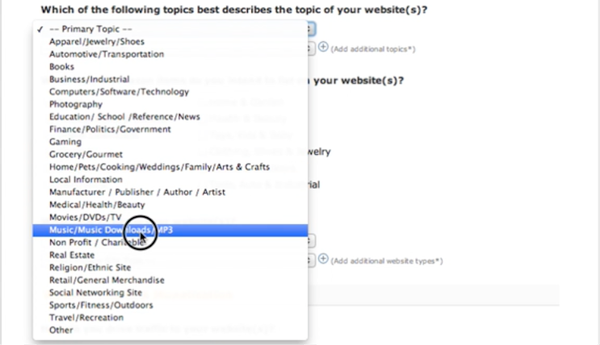 Next, select the topic(s) that best describe your website from the dropdown lists provided. Then select the categories of items that you plan to list on your website. Next, select the type of website you have, as well as the methods that you use to drive traffic to your website. If you use any other methods of monetization on your website, select these from the drop down boxes provided. You can add more by clicking the small plus just to the right of the dropdowns. The next step asks you to select the methods that you use to generate affiliate links. If you are using Geniuslink to build your links, simply select "Other." For the final steps simply select the number of visitors per month to your site, why you are joining the Amazon Associates Program, and how you heard about the program. Click next. You are nearly finished, but first you must confirm your identity through Amazon, and agree to the Terms and Conditions of the Associates Program Operating Agreement. During this step enter a valid phone number, and select the "Call me now" button. A code will be displayed on the screen and you will receive a call within five minutes. Enter the code on your phone when prompted to do so, and within a few seconds you will receive a confirmation message on the phone as well as on your screen. Review the Operating Agreement and agree to the Terms and Conditions. After clicking Finish, you are now ready to start using your Amazon Associates Account! In the upper left hand corner of the dashboard you'll find the "Associates ID." The Associates ID is the unique tracking parameter that will need to be included in your affiliate links in order to route the commissions back to your account. This will need to be added to your affiliate accounts list within the geniuslink Dashboard. You can now repeat the process above for each of the Associates countries that you wish to participate in. (United States, United Kingdom, Germany, France, Italy, Spain, Canada, China, Japan, India, Brazil, Mexico) We recommend that you sign up with the UK program first, as you will be given the option to sign up for all of the other European countries immediately with the click of a button. When signing up for international Associates programs we highly recommend using the Translate Plugin for Google Chrome to complete this process, due to the fact that each account will be displayed in its native language. If at any step along the way you have questions, please do not hesitate to contact us.